This is the 9th Florida Sunshine State Book I’ve read this summer. 6 more to go! I had to stop by my local liquidating Borders to see if I could find any good deals on books for my kids at school. I found these two sequels I know my kids are going to want right away. I guess I’ll have to read them too. It’s a hard life of sacrifice I lead. Oh well, anything for the kids right?! Forever by Maggie Stiefvater is the third in The Wolves of Mercy Falls trilogy. I reviewed the first book, Shiver back in January. Rip Tide is the sequel to Dark Life by Kat Falls which I reviewed in early July. I know this one has been out for a while, but I didn’t know that until recently. I kept finding myself drawn to The Last Little Blue Envelope when I see it in stores (which has been a lot). But when I read the summary, it seemed like it was a sequel and I was right. Here is a trailer for the first book, Thirteen Little Blue Envelopes by Marueen Johnson. Did you ever have that one kid in class that was just weird? Totally nice person, but they were just a little strange? Maybe you were that person. Or not. Anyway, Tommy knows exactly who that person is. Its Dwight. Dwight does a lot of odd things like wearing his socks pulled up above his knees, picking his nose, or making people to call him “Captain Dwight”. The only cool thing about Dwight is that he’s pretty good at origami. One day Dwight comes to school with his own Origami Yoda that he designed himself. Dwight sticks Origami Yoda on his finger and invited people to ask Origami Yoda questions, like a Magic-Eight Ball. This starts controversy among the students; some believe Origami Yoda is an oracle, while others think it’s just Dwight being lame again. To discover the truth, Tommy’s begins an investigation into the “realness” of Origami Yoda. With the help of his friends, Harvey and Kellen, Tommy gathers stories of other students’ experiences with Origami Yoda. Tommy’s goal? Figure out if Origami Yoda is real or not before he decides to make a big move based on Origami Yoda’s advice. Tom Angleberger has written a pretty hilarious story. I really like the book’s format which is told in different journal entries by students who have had encounters with Yoda. Each entry explains why the students believe Yoda gave good, bad or ambiguous advice. After each story, Harvey and Tommy both provide their thoughts and Kellen draws illustrations. The problems Tommy’s classmates come to Origami Yoda with are perfect for middle school aged readers; they’re funny because they’re so relatable. My favorites were “Origami Yoda and the Embarrassing Stain” and “Origami Yoda and Shakespeare’s Head”. Everyone, middle school or not, can relate to the Embarrassing Stain, but the Shakespeare’s Head story reminds of how my students used to always knock my tiny globe off the corner of my desk and freak out when it would pop in two (it was already broken they just didn’t know it…hehehe….). I definitely laughed out loud on multiple occasions. Whats also nice to see is that although Tommy starts off being one of the guys who rags on Dwight, throughout the book Tommy begins to realize that Dwight might not be as strange as he seems to be. I think readers will enjoy meeting each student and hearing more about Dwight and his Origami Yoda. It’s a super quick read with a sweet and romantic ending. Also, the author has included directions for making your own Origami Yoda. AWESOME! Such a fun and cute book. Plus the cover is pretty cool. I just finished my 8th Sunshine State book of the summer. 7 more to go! Tuesdays will be a Top Ten list dedicated to a specific topic in Young Adult/Middle Grades fiction. Lets try it out. Today’s Top Ten is a list of my favorite books from my childhood/teenage years. David and his family move to a large old country house. Soon, David and his siblings realize that unexplained things are happening around the house. David must solve the headless cupid mystery before it destroy’s his family. So, this book sounds way darker now then I remember when I read it. I just remember thinking it was a fun mystery! The story of a young girl stranded for years on an island off the California coast in the 19th century. Another major classic that I absolutely loved growing up. I remember longing for my own island to live alone on! Exactly what the title suggests! These were super fun and I have tons of memories of reading them with my brother and friends. 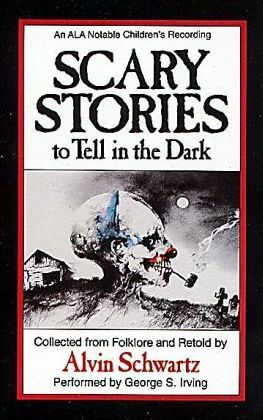 I actually think the illustrations were way creepier than the stories themselves. These are still popular in my Media Center nearly 20 years later. A series of books in which the reader can choose different paths along the way so that the story, and ending, is never the same. There are so many of these that I have no idea which ones I actually read. But I remember really liking them! This series describes events in the lives of young Ramona and her family, who live in Oregon. 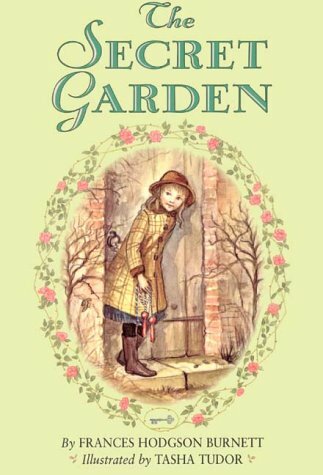 These were definitely read before I was a teenager, but I remember enjoying them, especially Ramona Quimby Age 8. About a group of middle school girls living in the fictional town of Stoneybrook, Connecticut. They run a business called the Baby-sitters Club that helps parents find babysitters. The members of the club are also best friends, although they go through many conflicts throughout the series. I remember my friend, Christy, and I tried on numerous occasions to start our own baby sitters club. It never worked…sigh. Everyone had their favorite babysitter too. My favorites were Dawn and Stacey, so I usually read the books about them before reading any others. Sidenote: I also thought Mary Ann’s boyfriend, Logan was super cute! SVT and SVH revolved around the lives of twin sisters Jessica and Elizabeth Wakefield, who lived in the idyllic suburb Sweet Valley, California. They were blonde, pretty, popular and so cool! I read a lot of these, but two were my favorites. 1.The Curse of the Ruby Necklace: Jessica and Elizabeth Wakefield are thrilled when they land small parts in a movie being made in Sweet Valley. The film is based on the true story of the mysterious death of twelve-year-old Lillian Keller, and it’s being filmed at the creepy old Keller mansion. This literally kept me up on a few occasions! 2. The Magic Christmas After their grandparents give them a pair of matching antique dolls for Christmas, Jessica and Elizabeth are thrown into the most magical adventure of their lives. And along the way they learn what being twins–and best friends–really means. The Fear Street books are a horror series that take place in Shadyside, a fictional city located somewhere on the east coast, and feature average teenagers, who encounter paranormal, adversaries. While some Fear Street novels have paranormal aspects, others are simply murder mysteries. I literally devoured these books as a teenager. I would beg my mom for a new one whenever we saw a bookstore! Although they were all good, my favorites were the Fear Street Sagas and The 99 Fear Street series. Seriously I LOVED these and would finish them in a day or two. My all time favorite! Centered around 1950-70s teenage detective Nancy Drew and her friends Bess and George who solve mysteries in the fictional town of River Heights. Yeah. I know for a fact that I’ve read all 56 of these books. My mom and I would read them aloud to each other. I absolutely couldn’t put these books down and often finished them in only a few days! And only the original Mystery Stories, none of those remakes please! Did anyone else love any of these too? This is the fantasy story about Omri who receives a cupboard from his brother, for his birthday. Omri discovers that the cupboard is magical and brings to life his plastic figurines. Thank you Lauren P.! How on Earth could I forget this series! I read ALL of them and loved them so much!. These books were so good, too bad the movie wasn’t. Fourteen year old Toby was just trying to find a job to cure his summer time blues. Little did he know that a simple job making specialty pizzas would turn into the most dangerous and exciting summer of his life. Toby and two other teens, Annabel and Strobe, get hired at Hidden Hill’s brand new take out place, Killer Pizza. The training is difficult, as Toby and the others learn recipes, kitchen skills and team work. In the meantime, people in Hidden Hills are being attacked by a creature they can’t describe. Soon, Toby, Annabel and Strobe realize that what they thought was an average summer job is anything but. Killer Pizza is a front for a secret organization of monster hunters. The head of the whole operation, Harvey, wants to recruit all three teens as his newest MCO’s (Monster Combat Officers). Toby and the others discover that monsters really do exist and a pack of them is currently terrorizing Hidden Hills. What follows is a high energy monster hunt full of stakeouts, deadly crossbows, illegal breaking and entering car chases and intense fight scenes. I predict that this will be a popular read in my media center, as the title alone is enticing. Killer Pizza will most likely be enjoyed by boy or girl readers, especially those who enjoy reading R.L. Stine. Its a very entertaining read and I kept wanting to read so I could figure out what would happen next to Toby and his team. Greg Taylor has written an action packed first time novel and I really had fun reading it. I could also see it as a movie in the future; totally has the movie vibe! I also just found out that the second Killer Pizza novel Killer Pizza: The Slice, came out this past June. On another note, the book even includes a recipe for Toby’s own Dragon’s Breath Pizza. I may even actually try to make it! My students absolutely love ghost stories. I think there is some strange connection to middle school students and a love for scary things. The Skeleton Creek books are pretty popular amongst the boys at my school. What I think is interesting is that the author combines the book with videos on the website. What better way to grab teenagers’ attention? Very smart indeed. I love seeing so many young adult books being made into movies. Even if they’re poorly done, they still get teenagers excited to read, which is 100% fine by me! This article had a list and summary of some books to movies planned for the near future. Obviously, I’m super excited about The Hunger Games, but there are a bunch that I’m glad to see made the list. Any others not mentioned on the list that I should know about?